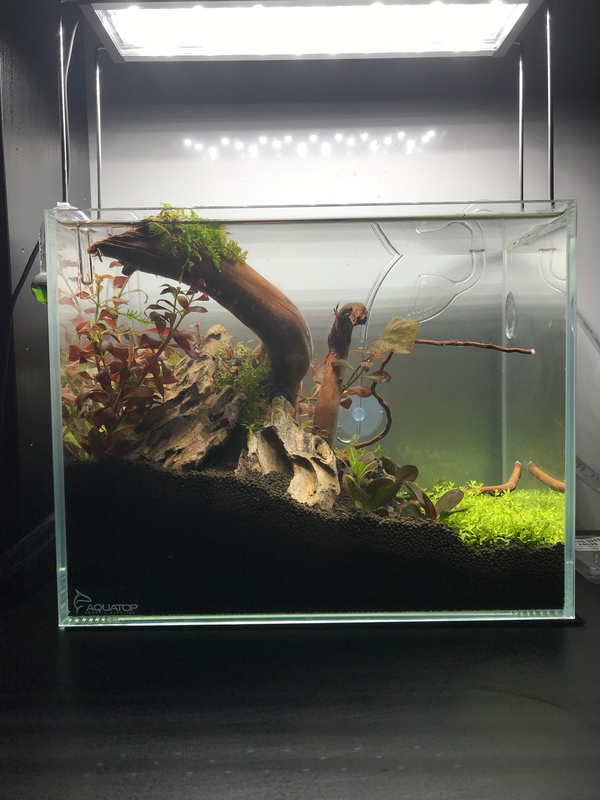 Hello Fellow Scaper, join me as of today on my journey on my first scape. If it wasn’t for your guys advice i probably would be clueless and so lost right now. I truly appreciate the replies that I've gotten including the advice. Just wanted to let you guys know ill be updating this thread as the tank develops. Well here are the fine details of this set up listed below. -Rocks: Main Dragon Stone, A little peace Bontique Seiryu stone, Black Lava rock(filler). Last edited by Chuy; 11-25-2018 at 07:30 PM. Last edited by Chuy; 11-15-2018 at 06:30 PM. What a very interesting centerpieces of wood. Tanks on the little fid bit. might just check it see if it will work or will switch to another smaller water lilly. Got a lil buce but hope to get more. Got the tank at Sand Bar Pet shop. Thanks. I truly enjoy this center peace so much potential if id re-scape. Definitely will be getting more buce in the future. Just want to make sure i can hand this load of plants before adding more. Might take you up on that offer of sp japan if you'll be attending the potluck. Last edited by Chuy; 11-15-2018 at 11:09 PM. 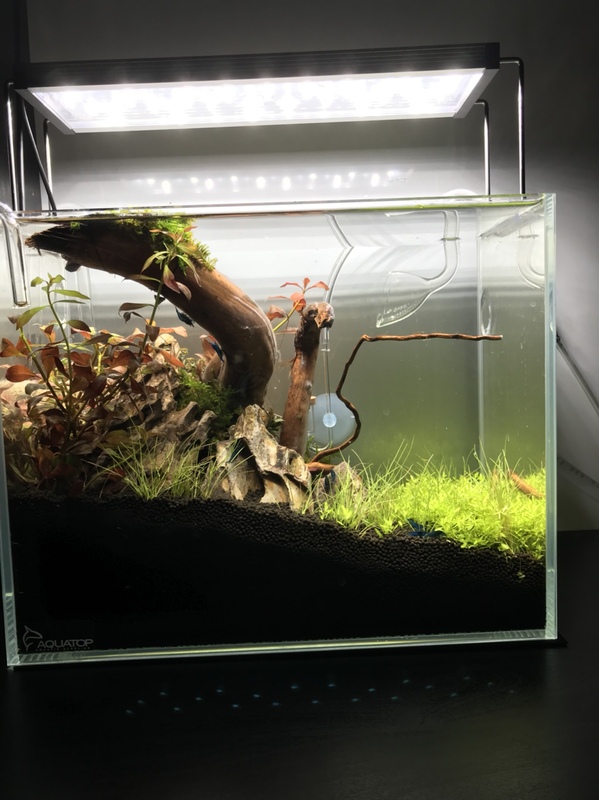 Just add some touches to the scape. Which are the Christmas moss on the peace of wood and a couple of rocks attached with it also. But the real big change is the twinstar c300 I finally got in today. Also seeing some growth in the pearl weed. Last edited by Chuy; 11-19-2018 at 10:37 PM. Looking good! I suggest you move your co2 diffuser right under the outflow, personally it’s kind of a distraction seeing the co2 tube right in the center by that wood. Other than that everything looks good! Are you trying to do a carpet effect? Thanks on the suggestion definitely will be moving the diffuser next water change. That’s my on the pearl weed to make it carpet but I’m not gonna give it a trim till another week or if I see significant growth. The tank is looking good man, I like the layout and cant wait to see it all nice and bushy. I do have one suggestion that I am surprised noboy has mentioned. I went back up and read your list of plants.....Echinodorus Hadi Red Pearl, a type of Amazon Sword. Although it is a slow grower, it is going to grow WAY TOO BIG for a 3.5 gallon tank. That plant grows too big for even my 29g. 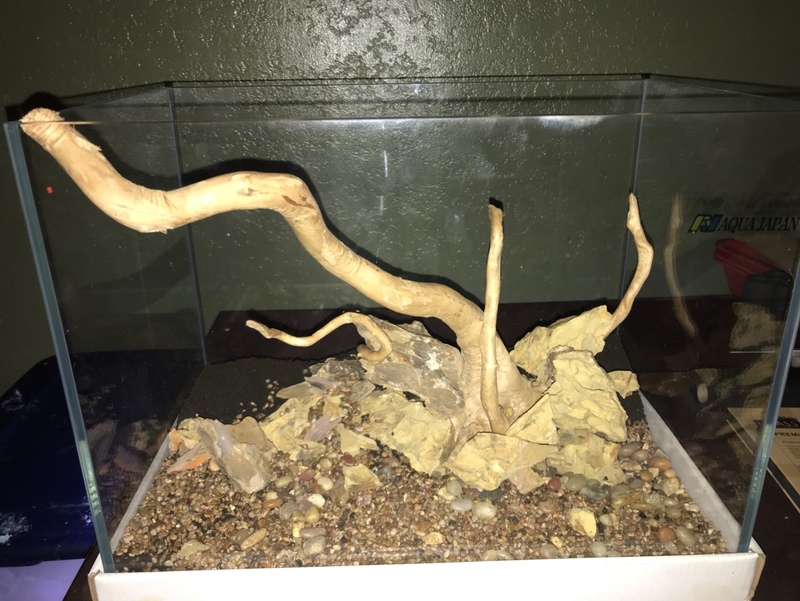 Just wanted to let you know early before it roots heavy in the tank and becomes harder to remove, check out some of the pictures on google. If you are looking for a decent plant to replace to still keep some color in the tank you can try A.R. Mini (the variegated version has been popping up lately and is gorgeous), or some Staurogyne Purple which turns purple under the right conditions. Last edited by Kole85; 11-20-2018 at 11:53 AM. Thank you on that note. I guess I’ll have to through it in the my Betta fish bowl I have till we have the next meet. I’ll be donating them I got 3-4. 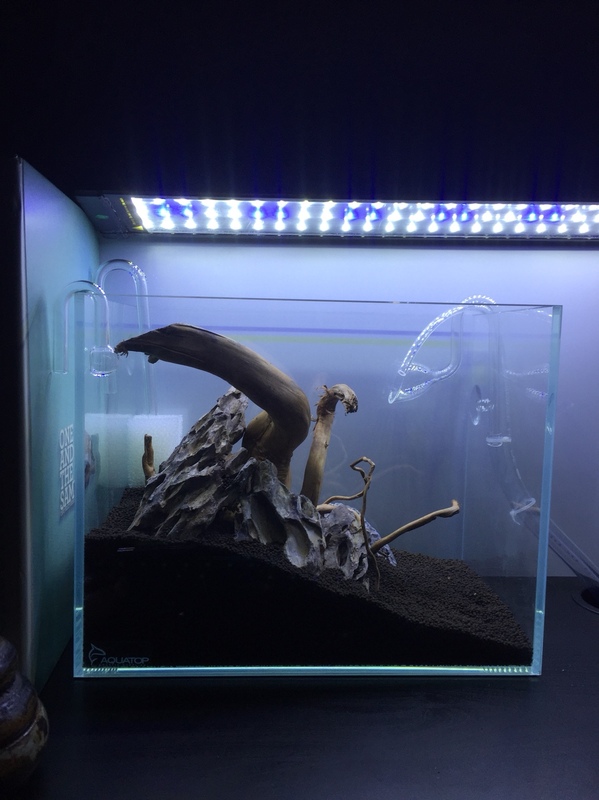 I’ll be doing more research on the plants that you recommended to see if there a possible option for this tank. Throw it up for a buck at the next meet and it will generate. Definitely. How may I put it on there. 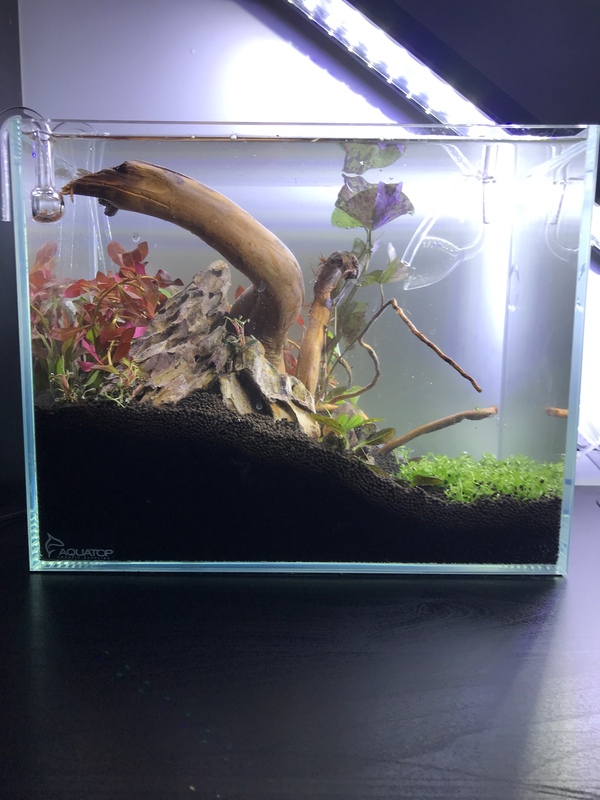 Update: So To keep this short I just added red mini buce. 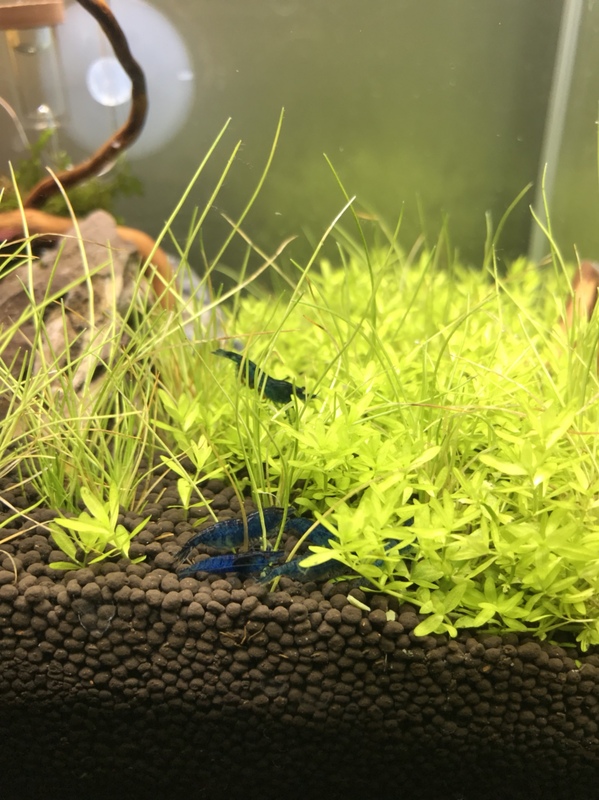 Dwarf hair grass, and some live stock being 15 blue diamonds plus’s quite some baby’s. Got a lot, anticipating that I’d lose some. Since I’ve been told I’ll get High morality rates since I’m using tap in the tank. I’ve lost 3 as of the 3rd day. Also doing 25% RO Water changes because of that. Last edited by Chuy; 11-25-2018 at 11:19 PM. Lol seems like one tank turned to 4 tanks, real quick. Well here for some input in plant recommendations, that you think will make a good fit. Shoot your ideas. Maybe it’ll make it in the final scape. Want to get the creative ideas going on top of what i thought so far.